Turn boring glass vases into fab distressed glass decor. 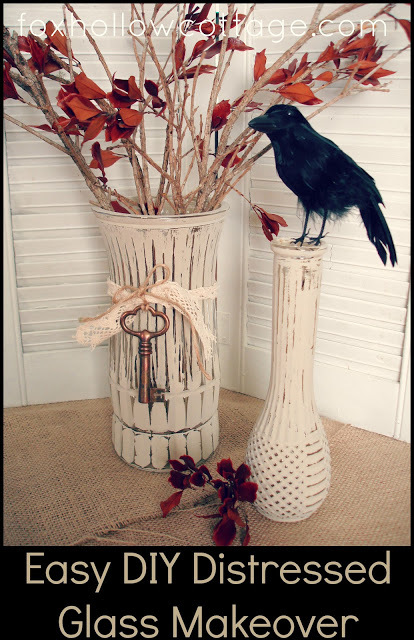 I love the technique Shannon used to achieve this look and I am so enamored of that sweet little key tied to the vase that I can’t even begin to tell you! Check out the full tutorial at Fox Hollow Cottage, and be sure to keep up with Shannon on Facebook, Twitter, Instagram, Pinterest and Google Plus.